Nothing is worse than a lousy sleeping mat. In this case, spending some money is worth it. We are using the Exped Synmat Hyperlite Duo which is super light and fits into a tiny packsack. In addition, we are using the bed sheet to make it a bit more comfortable and less noisy during night time. We both have owned different kinds of tents before. 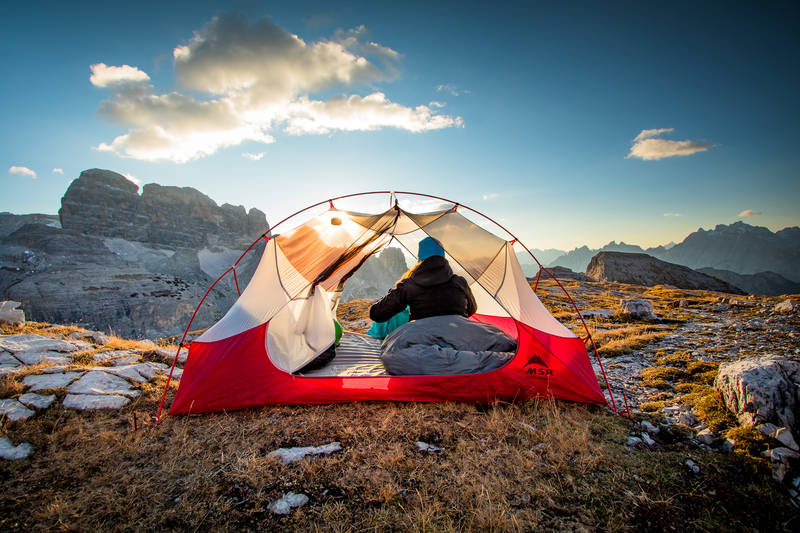 What type of tent you are choosing, all depends on the purpose. Do you want to make a car trip to a campsite? 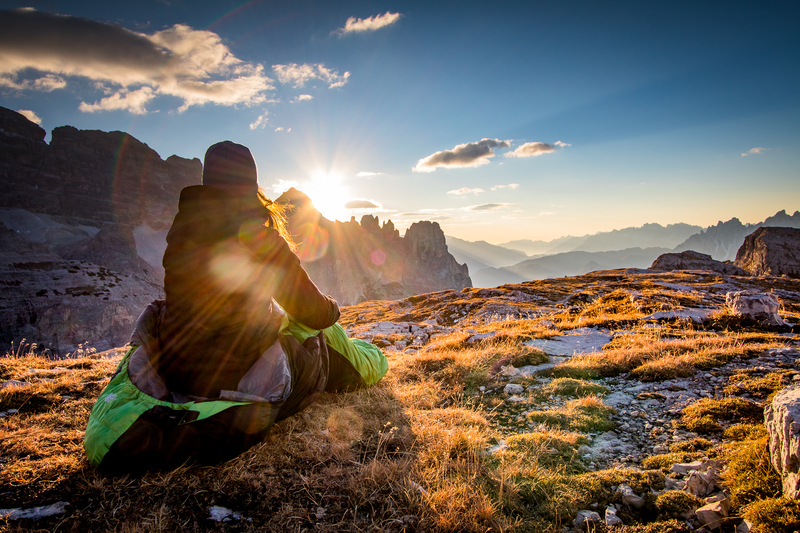 Do you want to hike with your backpack? 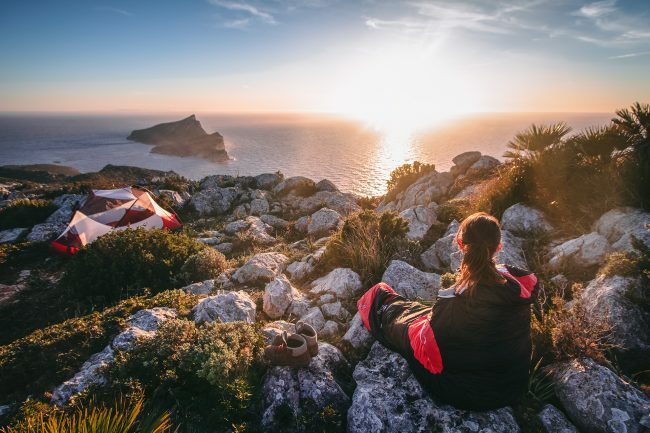 Are you looking for an emergency shelter for a day hike? We are using our tent mostly for backpacking. So it has to be as light as possible while having excellent protection from wind and weather. Currently, we are using the MSR Hubba Hubba NX, and we love it. 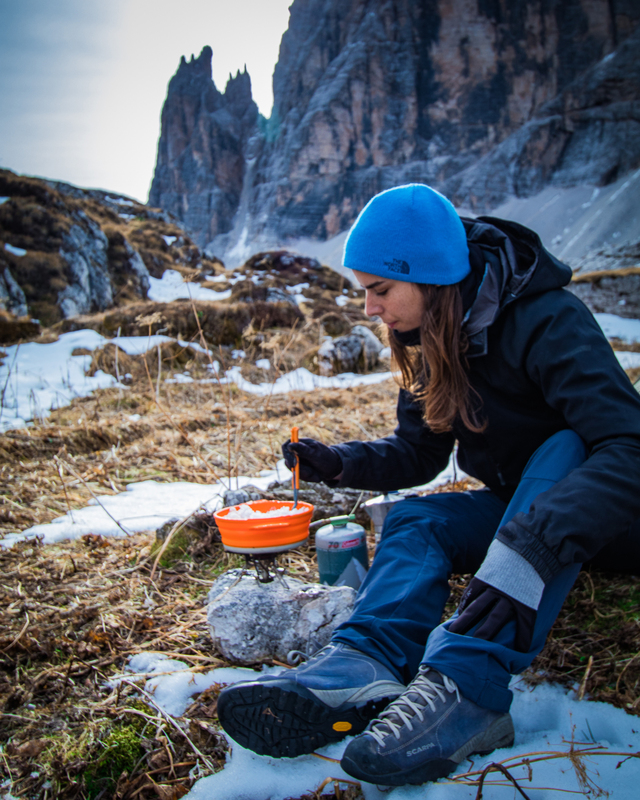 The best part about hiking is the well-deserved meal at the end of the day (and all the coffees in between). 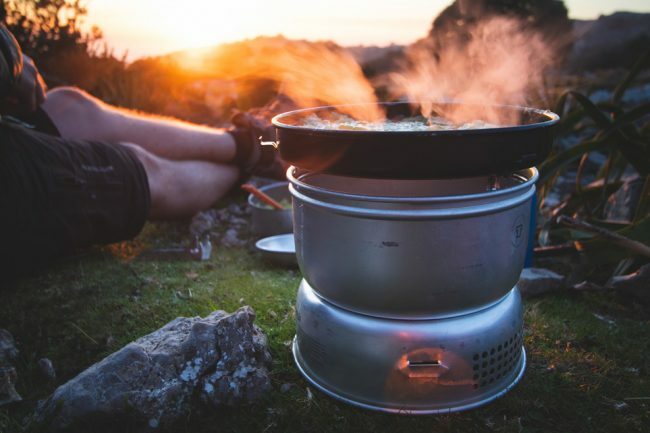 A reliable stove makes a huge difference to your camping adventure, allowing you to cook yummy dishes in the evening and to warm up in the morning with a hot coffee. Make sure to buy the right fuel canister for your stove. We are using the Terra Hiker Stove with an integrate Ignition. Another great stove is the Campingaz 40470 – a different type of stove but works perfectly. There is a lot of excellent cooking gear out there. It always depends on the purpose of where you want to use your cooking equipment. We are trying to minimise the space and weight, so our backpack can be as light as possible. We are both super happy with the X-Pot from Sea to the Summit. 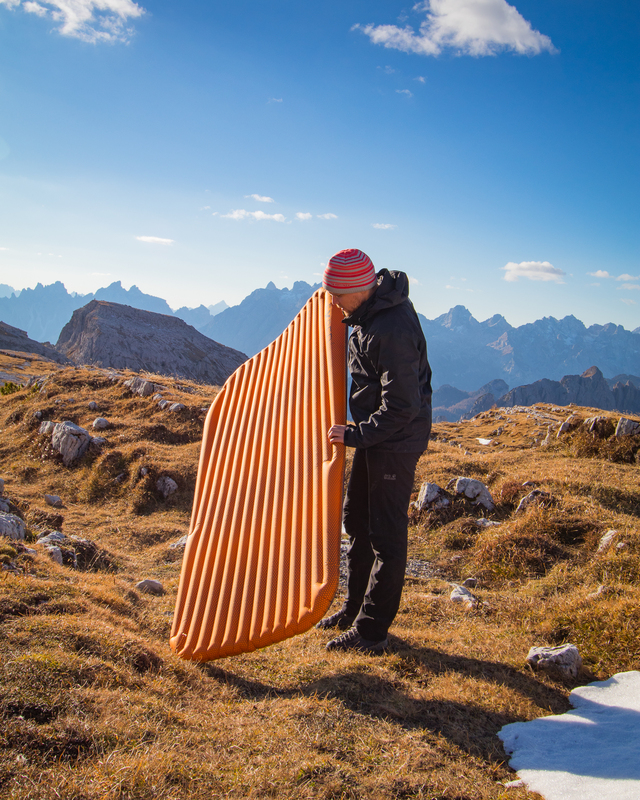 It is big enough for the two of us, and it can be folded, so it uses less space in the backpack. The lid can be used as a sieve. 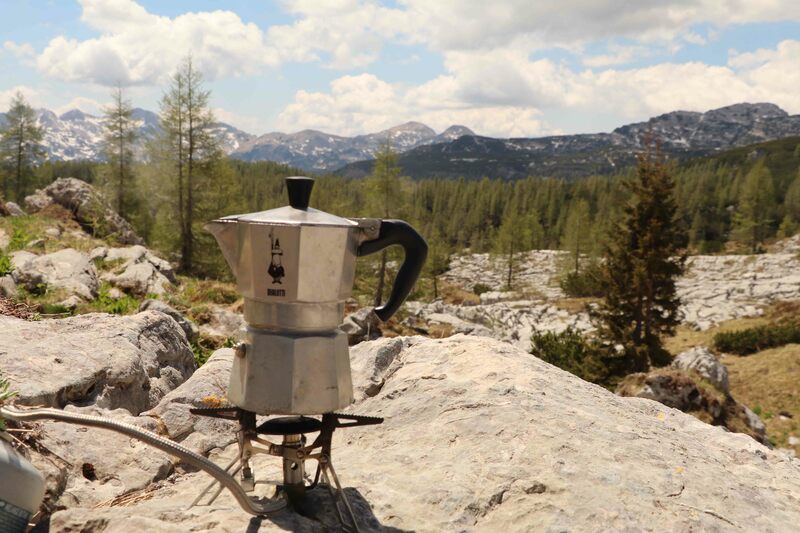 A perfect addition to the pot is the Jetboil eating Utensil Kit. It is small, light and matches color wise as well. What is worse than freezing during the night? We had many sleeping bags, but we never spend a lot of money on them. But during our last trip to Nepal, we realized how important a good sleeping bag is.